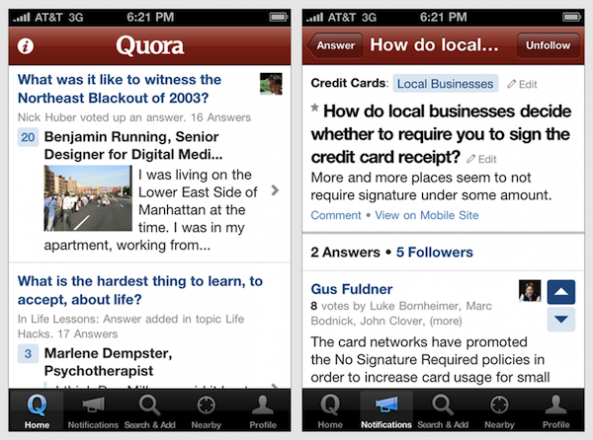 The popular question-and-answer service known as Quora has launched an official app for the iPhone. Quora is a community-based resource for thoughtful and insightful answers on a range of topics. Participants create a vibrant community of info on categories like technology, science, sports, media and health. Quora’s official iPhone app lets you do everything you can do on the website, including answer questions and explore topics. “The new iPhone app from Quora — the company that Wired Magazine calls “a potential revolution in knowledge.” Like Wikipedia, Quora provides great answers on a wide range of topics — technology, movies, music, travel, health, law and much more. Quora on the iPhone gives you access to some of the smartest people in the world, right at your fingertips. Quora’s users have deep expertise and include authoritative leaders in dozens of fields. The iPhone app uses the smartphone’s GPS to show you “nearby” topics and maps with information about places around you. 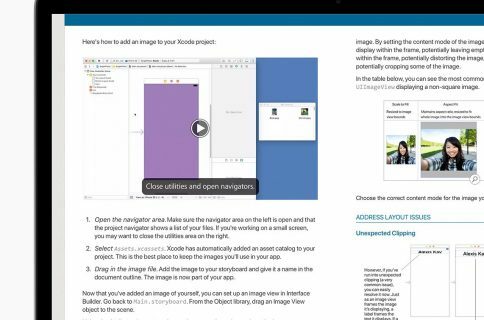 This app would be a great companion for those traveling to a new and interesting city. Even if you’ve never used Quora, download the free iPhone app and give it a try. You may be surprised at what you learn.